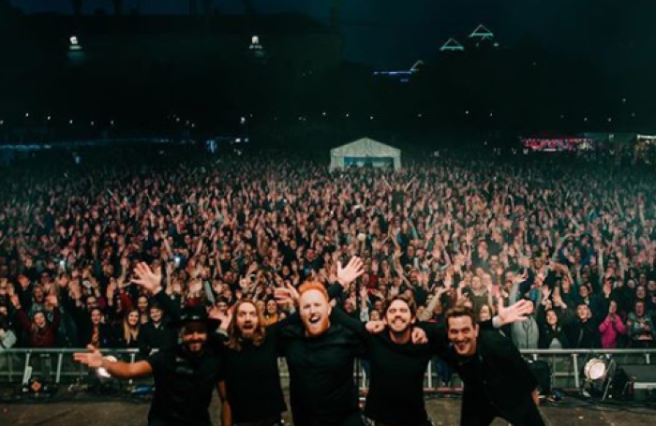 This how you can see Gavin James for FREE next weekend | SHEmazing! Gavin James could quite possibly be the soundest guy we know. Not only is he hosting a free open-air concert, he's doing it in honour of the late Irish legend, Dolores O’Riordan. The singer is expected to play the Cranberries' Glow and Linger during his free gig, next weekend. If you want to get in on the action, you need to be around Friday, September 21. Gavin will be performing at the National Museum of Ireland Collins Barracks, as part of Culture Night. You'll bop along to two hours of tunes and will see some of Ireland's best artists, both established and emerging. – So who knows, you could discover a new fave song. If you thought things couldn't get better, you're wrong. There are no tickets (or hassle) for the concert, AND Dublin Bus are running free buses every 20 mins from Dublin City Centre (Aston Quay, USIT Office) to the National Museum of Ireland Collins Barracks (Route C) from 6 to 11 pm. For more information about the travel freebies, click here. If you're still on the fence about going, from 4 to 8 pm there will be a wide range of free ticketed live radio recordings, talks and performances. This includes a section called Banter – Culture & Me, which will feature Jim Carroll along with three badass Irish women bosses. Tropical Popical founder and co-host of Keep On Repealin' podcast, Andrea Horan will join Jim between 4.30 to 5 pm to chat all things culture. Ivana Bacik will take the next slot and this one not to miss as Ivana has been a senator in Seanad Eireann for the University of Dublin since July 2007, and is also the Reid Professor of Criminal Law, Criminology and Penology at Trinity College Dublin. Finally, Jim will be having the craic with Emilie Pine who is the best-selling author of Notes To Self (Tramp Press) and an Associate Professor in Modern Drama at UCD. This culture night will have you seriously spoilt for choice. But if you really can't make it, the night will be streamed here. Alternatively, you can listen in with Sean Rocks on RTÉ Radio 1’s Arena from 8pm – 10pm. It's a great time to be Irish.